The Mobideo presentation focuses on a welding initiative for the refinery and how they could set up the necessary workflows, forms, notification and reporting. 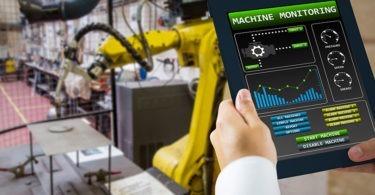 Three years ago, I discussed the Digital Transformation taking place in manufacturing in one of my opening columns and washed away any thoughts about the Industrial Internet of Things (IIoT) being pure hype. With my background in automation and data acquisition platforms, I’ve seen company initiatives take root for the last ten years, such as Duke Power Started with IIoT in 2010, and the immediate area of payback for many enterprises targets real-time maintenance. Below is a case study presentation on an oil refinery from Mobideo’s Paul Muir at the recent 2017 Shutdowns Turnarounds Super Conference in December — presentation starts at 3:30. Mobideo presentation, a software company with a focus on the chemical sector, focuses on a welding initiative for the refinery and how they could set up the necessary workflows, forms, notification and reporting. One interesting nugget from the presentation is the Muir surveying the audience about whether their company knows where to start IIoT, the response, according to Muir, was at about 7.5%. This is about right as about 1 in 5 mid-size companies in Germany are using IIoT technologies, per the Oct 2017 Siemens magazine issue. The lesson? Gain information and share it with your enterprise, quickly!